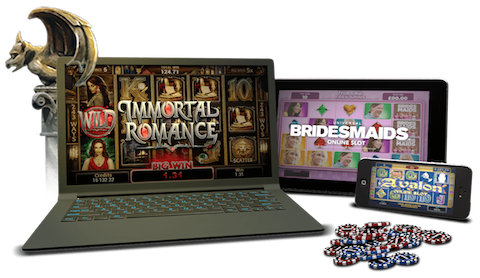 What online casino games bring the largest winnings to players? This tricky question may take hours to discuss. According to one version, the list of the most profitable online casino games includes poker, baccarat, and blackjack. This list lacks slot machines which are not viewed as the most profitable games for players. For casinos, on the contrary, slots are a large source of income. Few online casinos offer players the opportunity to play traditional poker. Under traditional poker mean classical poker games and tournaments, with players competing with one another. Another limitation is that a novice player cannot possibly keep winning at poker. To gain the edge over other competitors, you need to be a seasoned gambler with deep knowledge of poker rules and various complicated strategies. The good news is that every player stands a chance of becoming a professional. Most online casinos offer a simplified version of poker, known as video poker. Learning to play video poker is a much simpler task. In video poker, your only competitor is the casino itself. By using the optimal poker strategy, you can beat the house in video poker. With its entertaining gameplay and relatively simple rules, baccarat has gained pretty wide popularity all over the world. Officially known from the fifteenth century, the game may have an even longer and richer history. First players used Taro cards which were later replaced with a standard deck. The goal is to collect 9 points or close to it. According to a time-tested baccarat strategy, you should always bet on banker. Baccarat has a 1.06% house edge. If you do not use any strategy, be ready to face a 1.5-14% house edge. The third place in our list is occupied by blackjack. Blackjack features more complicated rules compared to baccarat and offers a wider range of possible options. In online blackjack, you can play against a dealer or other gamblers. The optimal blackjack strategy allows to reduce the house edge down to 0.5% (for some blackjack variations). For those players who do not rely on strategies, the house edge climbs as high as 8-9%.